Karen Jones has been making her mark as a flautist since very early in her career, when she was a finalist in the BBC’s Young Musician of the Year at the age of 16. She won a scholarship to the Guildhall School of Music and Drama, going on to further study in Vienna and New York thanks to winning the Shell/LSO Competition Gold Medal. Since then she has attracted the highest praise from composers and conductors alike: the Boston Globe had Leonard Bernstein ‘raving all week’ about her playing at the Tanglewood summer academy; Henri Dutilleux confessed to being ‘completely seduced by your interpretation of my Sonatine’; while John Williams, on one Harry Potter soundtrack, was so astounded with her ability to tackle what he assumed was a complicated solo that she has been his first choice flautist ever since. Karen can also be heard as a soloist in major works of the flute repertoire on a number of commercial recordings, some on Conifer’s now archived catalogue, others for Naxos, Divine Art and the Independent Clarinet Classics label. 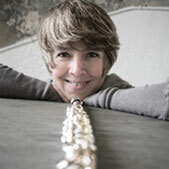 She also enjoys a busy freelance career with all the leading London orchestras and ensembles, with whom she is a regular guest principal, and has performed as a concerto soloist with the Philharmonia, London Symphony, London Chamber, Hallé, BBC Philharmonic, Bournemouth Symphony and Ulster orchestras, as well as the City of London Sinfonia. Karen Jones has been a professor at the Royal Academy of Music since 2004, having previously held teaching posts at the Royal Northern College of Music and Trinity College of Music in London. Karen is married to percussionist Andrew Barclay, and considers her commitment as a mother to their children Louis and Ella as fundamental to her life and work as a musician.